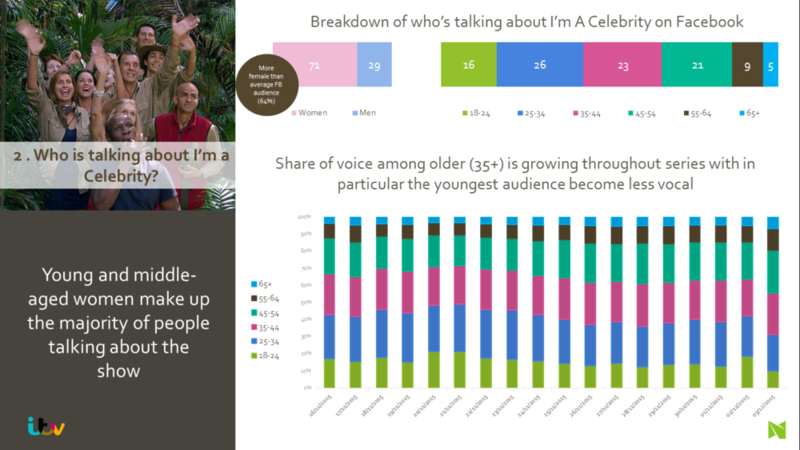 One of our first user cases for Facebook Topic Data was a well known UK television programme called I'm a celebrity..get me out of here! 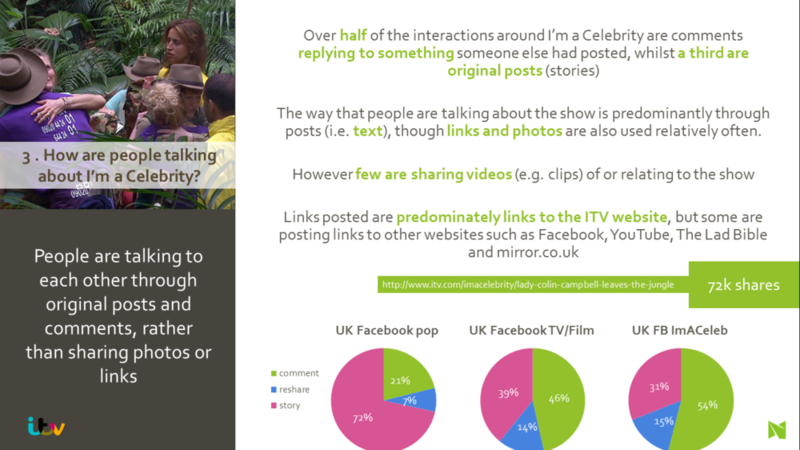 We wanted to investigate how much UK Facebook members were chatting and when this engaging happened. Albeit a test case, there are some interesting findings in the below example deck. 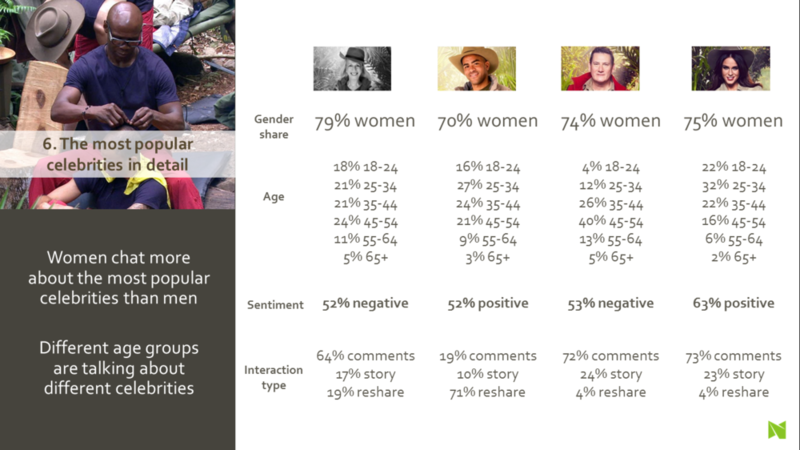 This type of data collected over time can form powerful social intelligence around categories, brands and communities. Imagine comparing this show to competing shows or other events and to future series. 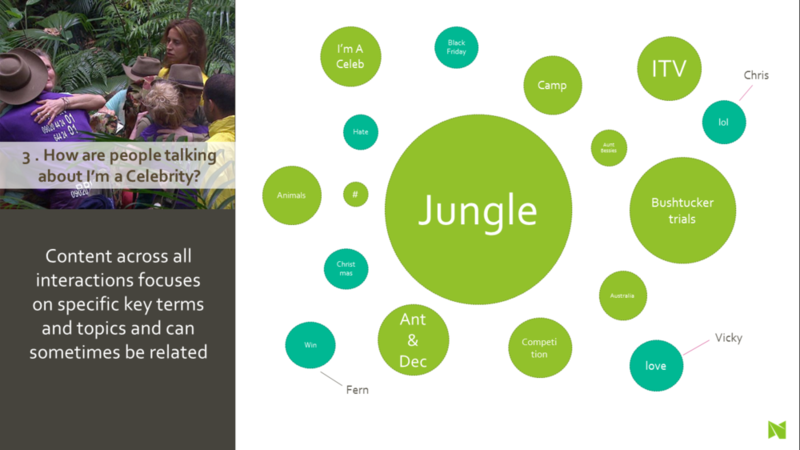 Over time we will be able to build social intelligence and understand aspects of cultural behavior better. For example which trends grow to become mass adopted and what can we learn about the role of social media in this. Another example would be to understand the shifts in attitudes social media causes or contributes too, on brands within a specific category. Take VW and their problems, what impact does this have on the entire category? What can BMW learn about a possible shift in purchase decision making? The quantity of data and the speed at which we can record, analyse and interpret the data is like no other form of data collection before. It is a brave new world but one marketing and insight teams at any company should not ignore.